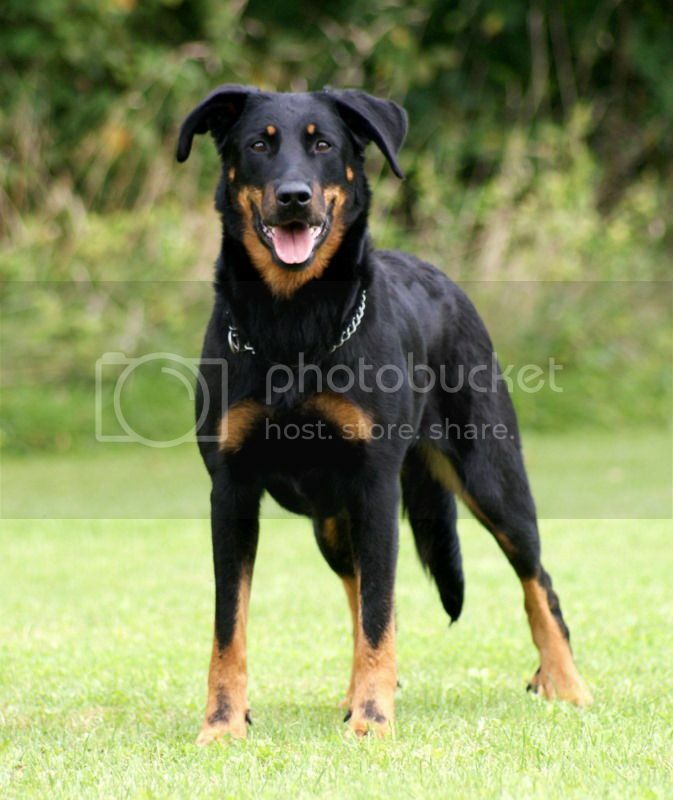 Is it a young Beauceron? I can't think of any that fit at all, Rottie, dobe, and dachs have wrong ears, this almost looks like a border collie ear, everything seems to look border collie to me LOL. At least I didn't use a picture of a merle one , I think their ears are pretty unique when combined with the black and tan, but I guess you could be tripped up if you have only seen pictures of them with cropped ears. Ripleygirl you won so you get to post the next breed. I've never seen one, only ever heard of them on here. Totally don't get WHY dogs ears would ever be cropped. Glad it doesn't happen in the UK. I'm with you running dog. I just don't get it at all why dogs ears are cropped. It's illegal here too! Oh dear, looks like a Wolf to me. Trying to think of wolf like dogs minds gone blank. German Shepherd?? Nope wrong color. Going to 'cheat' and google on this one. What a beautiful dog, I've never seen one before. Just googled to find out more about the breed. LOL no wonder Anneke got it right, they're from the Nederlands. Doubt they'd be allowed into this country, being part wolf, which is a shame. I kept thinking that tiny piece of photo looked like a German Shepherd in Wolf's 'clothing' - and I didn't know they were bred as a cross between those two breeds. This is a fun competition and we all learn something too. Actually, Mary, there is no wolf in the Saarloos anymore. Wolfs and german shepherds were used to start the breed, but since then there has been no use of wolfs. So it is not a hybride or a cross. It is a breed that looks like a wolf and is close to the wolf in charater, but it is a dog. Not an easy dog, certainly not for everyone. But to show that they are very trainable: they have been used as seeing-eye dogs for the blind in the past. And as guarddog. But now they are just familydogs, not a workingbreed. I think they are gorgeous dogs... Never seen one in 'real life' though but there is a dog we walk with sometimes that is similar looking... It has no wolf in it and is a permutation of german shepherd. Everyone we meet when I walk with them think it is a wolf but he is the softest most playful dog. I will have to take a pic to show you.